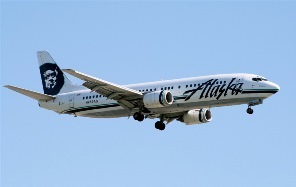 IAM members at Alaska Airlines have overwhelmingly ratified a new contract at the carrier covering approximately 3,000 clerical, office and passenger service employees at Alaska Airlines. The five-year accord includes 12.3 percent in wage increases, improved job security provisions, strengthened merger protections, improved premium pay, enhanced home agent pay protections and holds the line on healthcare costs.?? The five-year deal runs through 2018. Visit the IAM District 142 website for more information.